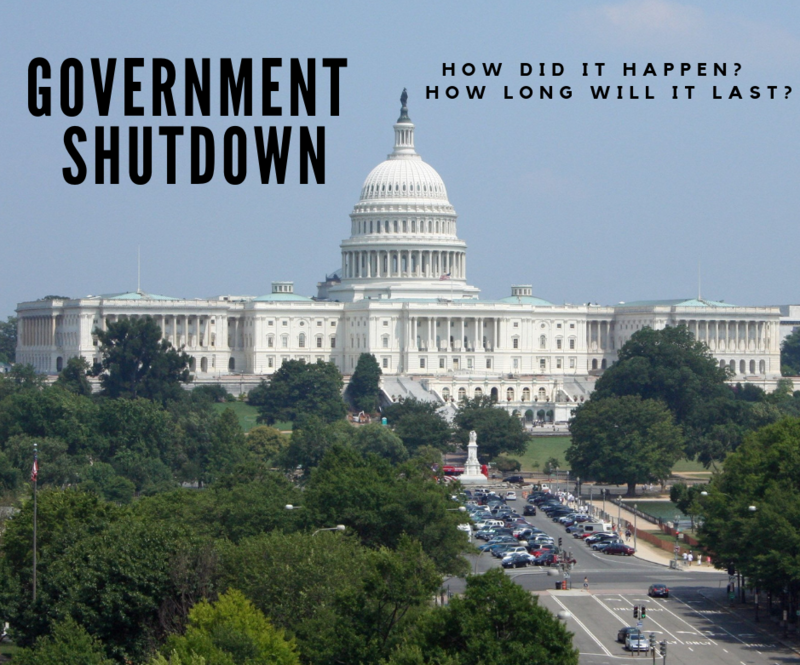 The United States government has entered its third week of the shutdown, the longest shutdown in US history, leaving many to wonder how this happened and how does it affect Americans? How did the government shutdown? The shutdown started on December 21, after the democrats and President Trump couldn’t agree on a spending bill that would fund a border wall on the US-Mexico border. The president requested 5.7 billion dollars to build a wall that would cover over 1,000 miles of treacherous land. The democrats in Congress sharply declined to pass the funding bill proposed by Trump, but they countered with an offer that included 1.3 billion for border fencing and 300 million dollars for cameras and surveillance technology. After the new bill passed through Congress by a bipartisan vote, on January 3, President Trump refused to sign the bill that could have reopened the government and ended the long standoff. How does the shutdown affect everyone? The shutdown is impacting federal workers from all over the nation including workers from the departments of Agriculture, Commerce, Justice, Homeland Security, Housing and Urban Development, State, and Transportation. Over 800,000 workers worked without wages throughout the holidays, and still are up to this point. Many reports are surfacing of trash riddled national parks and dirty bathrooms. On Thursday night, ABC News reported that the Trump administration could be looking at the possibility of moving disaster relief funding towards the wall. This could end the shutdown, but millions of victims of Hurricane Harvey, Maria, and the California wildfires would not get the disaster relief money. How much longer until this is resolved? Nobody really knows how much longer this will last. President Trump has adamantly said he wants all five billion dollars, and the democrats in Congress refuse. Until they agree on a bill to fund the wall, or funding is moved from somewhere else, the government will remain shutdown. President Trump said last week, the shutdown will last “as long as it takes” until he gets the money he requested almost an entire month ago.